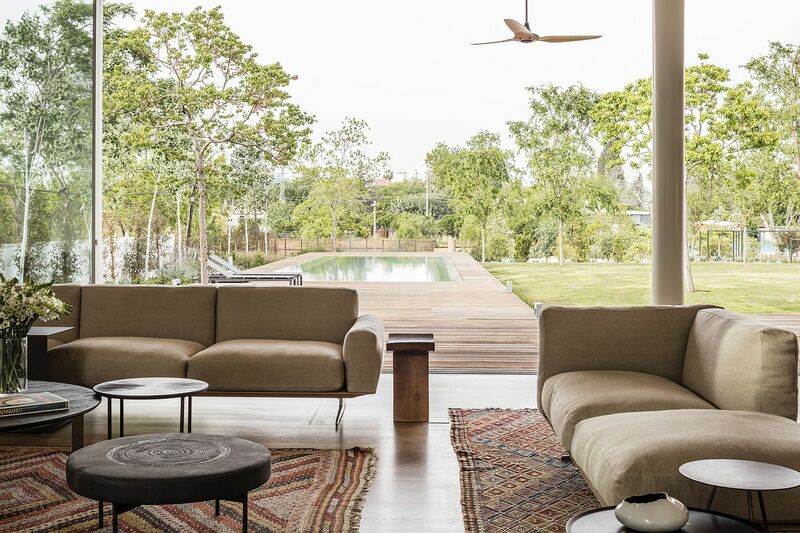 Nature is thankfully once again becoming a big part of modern home design with eco-conscious homeowners willing to sacrifice bright city lights for rustic tranquility. 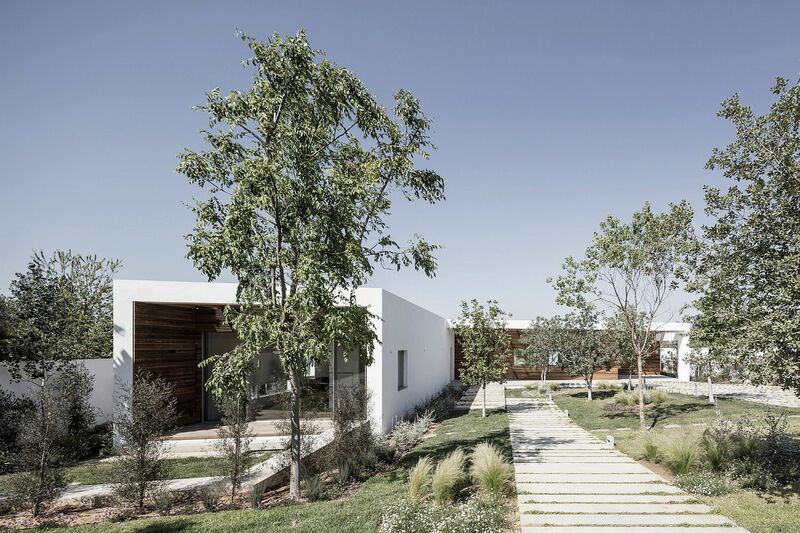 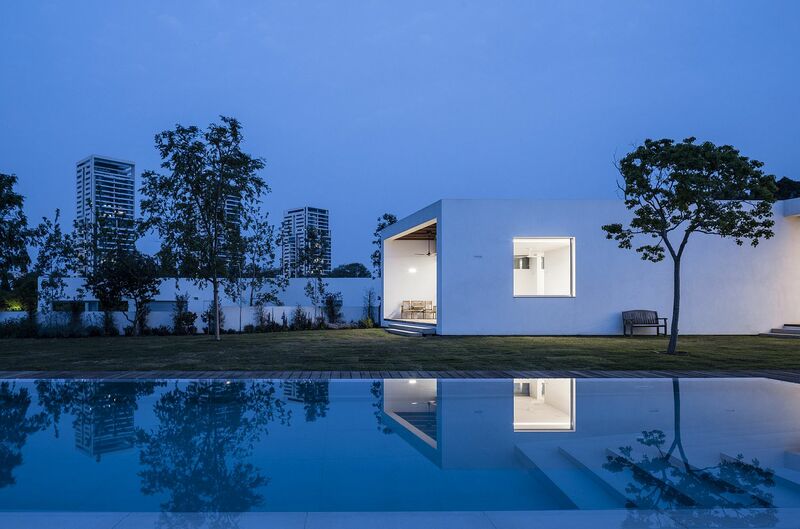 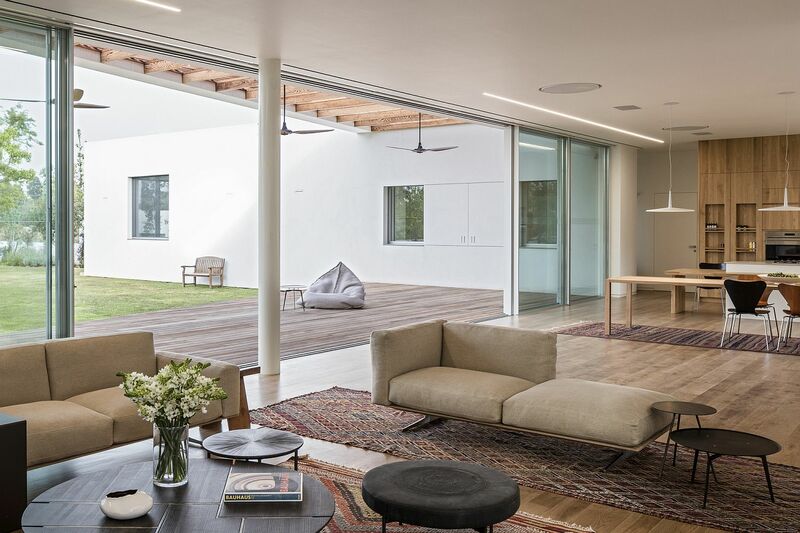 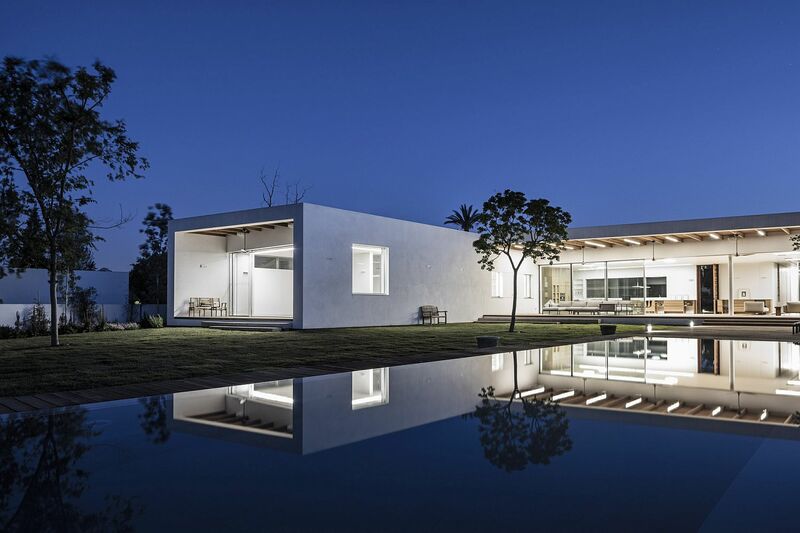 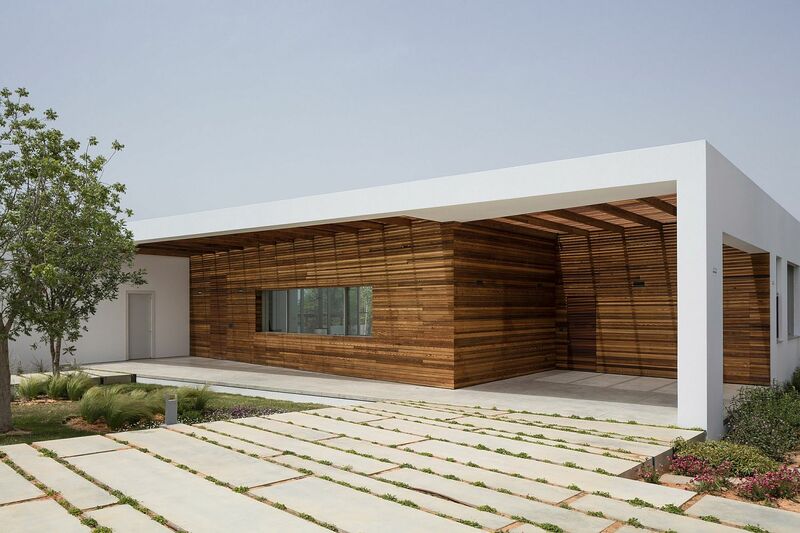 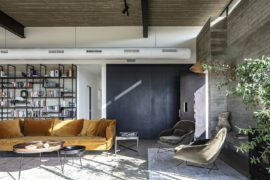 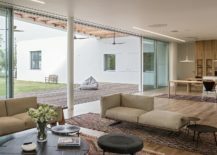 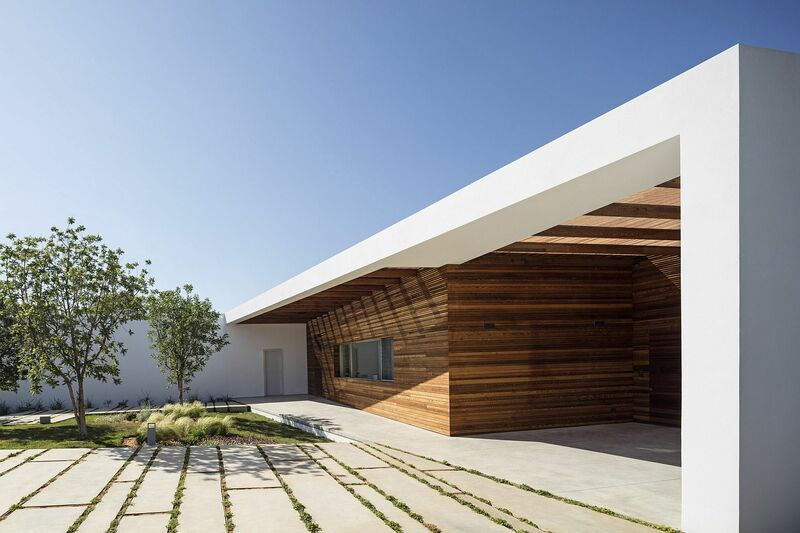 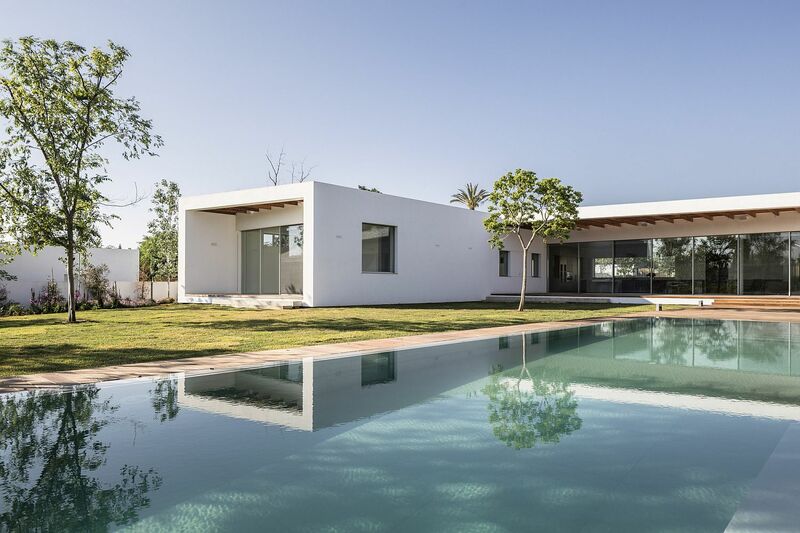 The Z House in Israel is one such beautiful contemporary residence where the house itself meanders its way through the landscape and becomes one with the world outside. 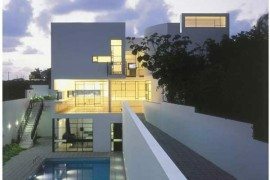 It is a symbiotic relationship between architecture and nature; one complements the other and does so in an organic fashion. 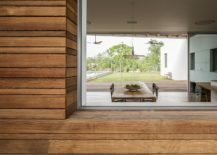 A lovely walkway through the large garden adds another layer of charm with the living area flowing into the deck and pool space. 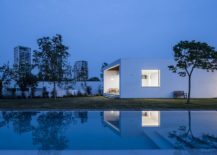 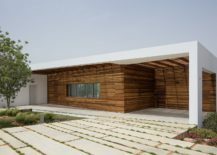 Designed by Ronnie Alroy Architects, the house gets its name from its Z-shaped silhouette which lets it become a part of the green backdrop. 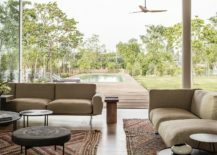 The open living area , wooden deck outside, pergola and relaxing pool create the perfect social zone for friends and family. 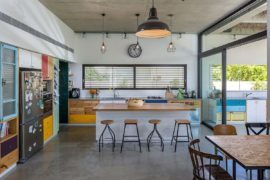 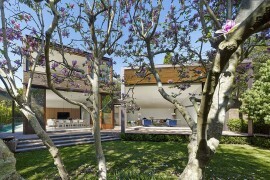 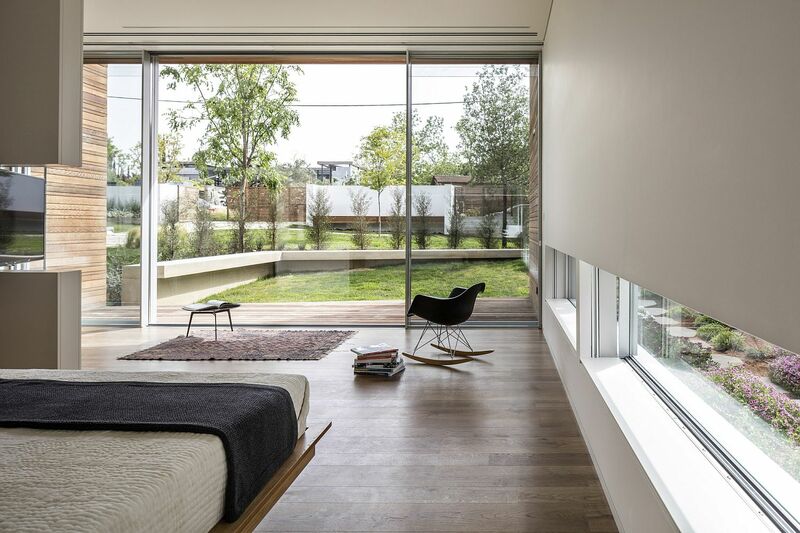 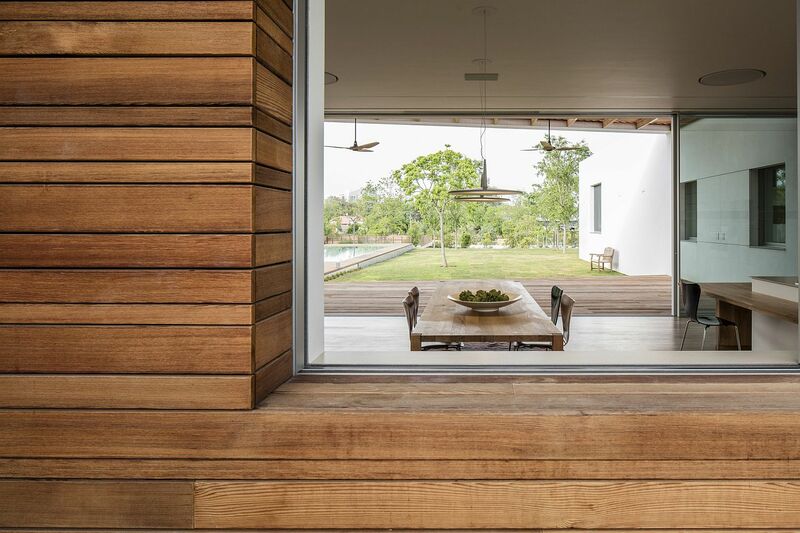 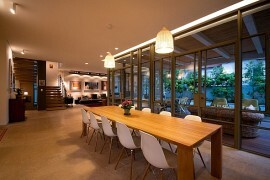 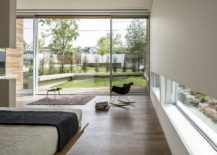 Concrete walls, wooden slats and floor-to-ceiling sliding glass walls usual air of modernity. 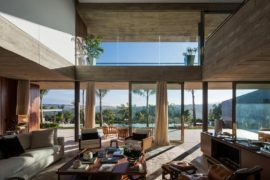 Natural ventilation and unassuming décor fashion a smart living environment where orthogonal geometry defines overall space.